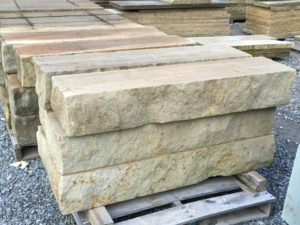 We provide quality flagstone, bluestone and building stone products to large and small volume dealers, homeowners, landscapers, contractors, building supply stores, and do it yourselfers. 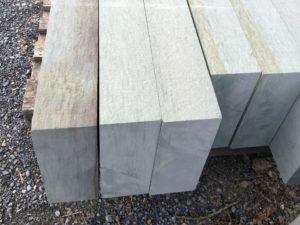 We do custom cutting, bullnosing and radius cuts. 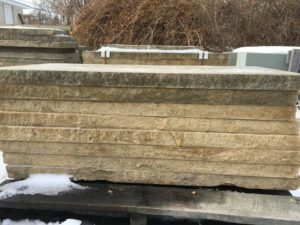 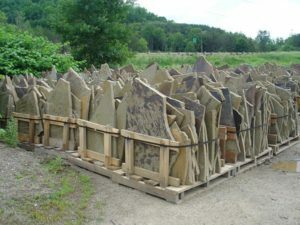 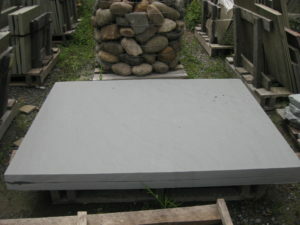 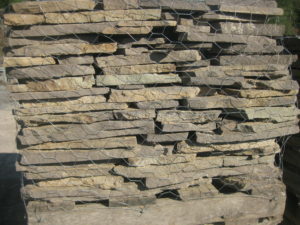 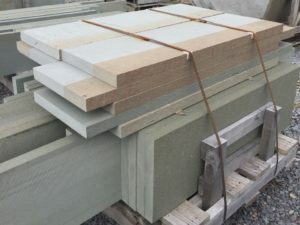 Some of our products include PA flagstone cut to random rectangular/pattern, irregular flagstone, hearths, mantels, coping, sills, ashlar/veneer, wallstone, colonial flagstone, fieldstone, moss rock, boulders, landscaping stone, edging, mountain stone, mountain stone veneer, stair treads, character rocks, Tennessee stone, Ohio sandstone, stepping stones, tumbled wall stone, marble, veneer, pond stone, waterfall stone, etc. 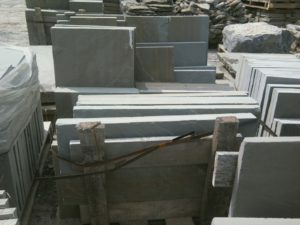 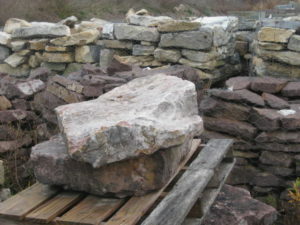 We will do custom cutting in our quarries to obtain thicker stone, or larger sizes. 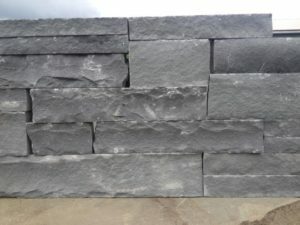 We also custom cut at our sales location. 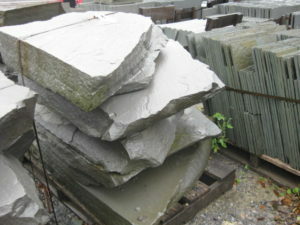 So whatever your stone needs may be, give us a call or contact us online and we will do all we can to fill your needs. 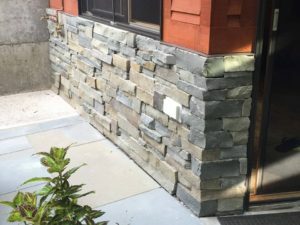 If we can’t help you, well do our best to refer you in the right direction. 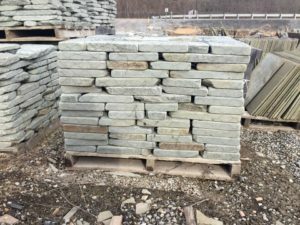 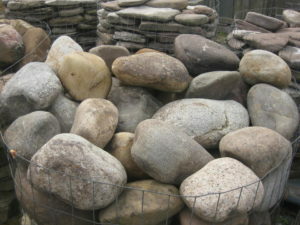 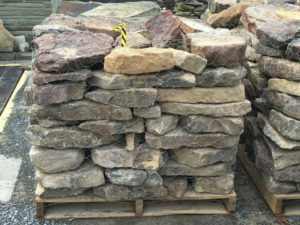 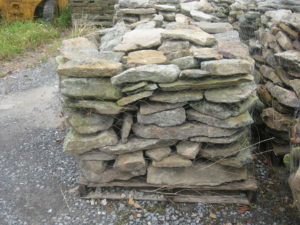 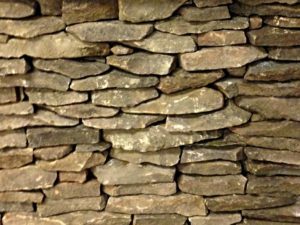 Our stone is sorted by thickness to ease your application. 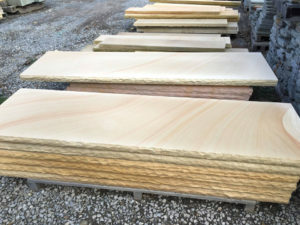 We have our own guillotine machine on site, so customized snapped veneer to specifications is no problem. 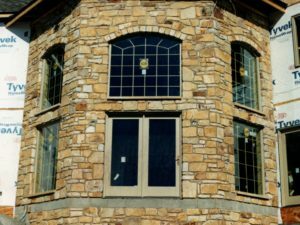 We’re happy to provide installation instructions and answer questions to help you. 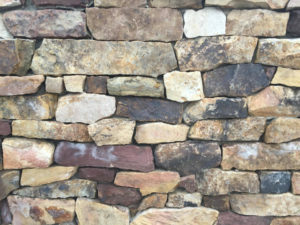 regardless of experience. 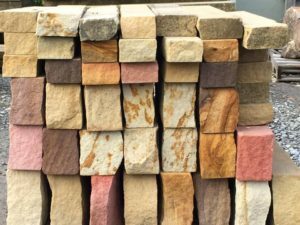 So whether your application is indoors or outdoors, floors, walls, walks, patios, fireplaces, pools or any other use, we can help. 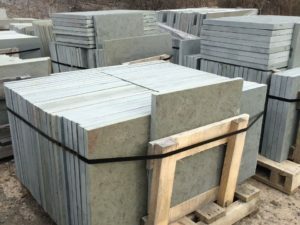 Just ask, it will be our pleasure.